The CAN ( Climate Action Network) International Secretariat is looking for a Mobilization Coordinator to join the Global Campaign Coordination Department and play a leading role coordinating key mobilization moments across different movements. This to ensure the new person would be able to join us as soon as possible. 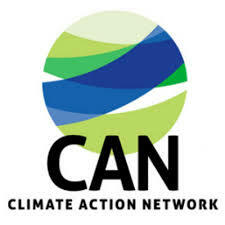 The Climate Action Network – International (CAN) is seeking a Mobilization Coordinator to support CAN’s growing Global Campaign Coordination Department. The Campaign Coordination Department aims at coordinating members’ work around key campaign opportunities and through specific projects that support the shift to a low-carbon and climate resilient development at the international, national and regional level.In 2015 CAN will focus on building an inclusive and diverse movement that will mobilize together at key global moments to exert pressure for a phase out of fossil fuel pollution and a just transition to 100% RE globally by at least 2050. The Mobilization Coordinator will play a leading role in this effort coordinating key mobilization moments across different movements.The Coordinator will closely work with all other departments and report directly to the Head of Global Campaign Coordination. Physical location for this position is flexible although ideally it would be from within the offices of an existing CAN member group or regional office. • Support the CAN Secretariat whenever required to ensure strong mobilization on identified key opportunities. • Experience working and living in developing countries, with a keen understanding of the challenges in communication, resource restraints, and other unique circumstances preferred. Salary will depend on experience and location. Send a cover letter and resume to can-jobs@climatenetwork.org, with subject: “Mobilization Coordinator”. Applications are requested as soon as possible, and interviews will be scheduled on a rolling basis until the right candidate has been found. Please, no telephone inquiries. Based on the expected large interest in this position and limited capacity, only candidates chosen for interviews will be contacted. CAN is an Equal Opportunity Employer. We especially encourage people with experience of working and living in developing countries. Posted on December 9, 2014, in Africa, Career, Gender, Women, Girls, Global, Opportunities, Technology and tagged climate action network, climate action network international, lobal Campaign Coordination Department, mobilization coordinator. Bookmark the permalink. Leave a comment.